We bring the party to you ! 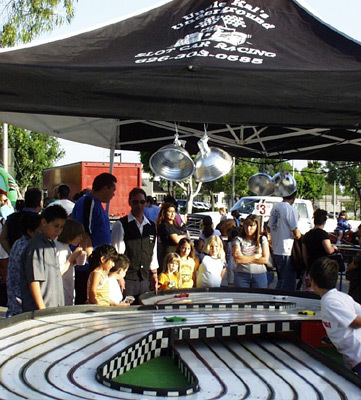 We have 6 lane portable slot car tracks that can bring all the fun right to your place. with packages to suit your time and budget. 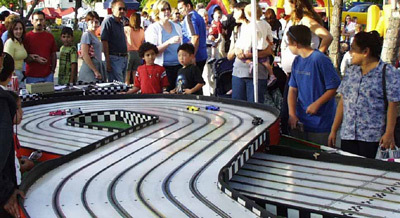 plus all of the cars and controllers.